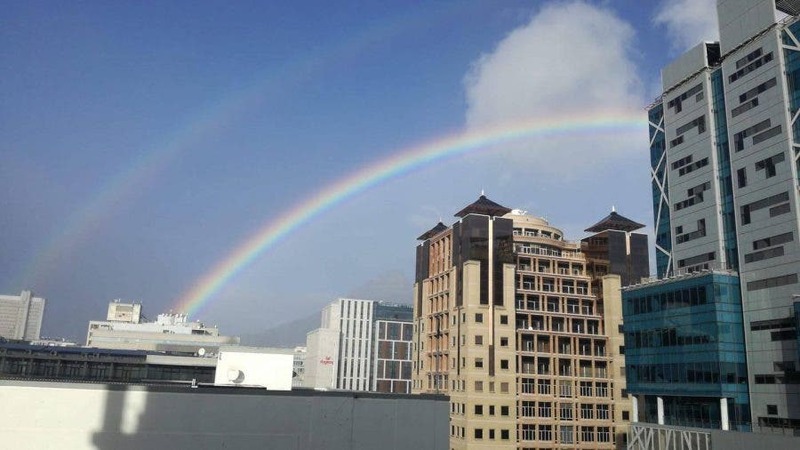 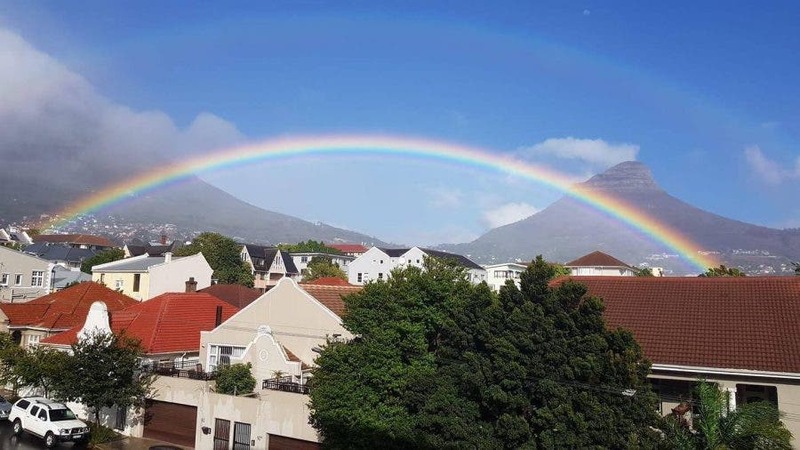 The week got off to a fabulous start in Cape Town, South Africa, where a drizzly dawn was transformed by a bright double rainbow that seemed to stretch across the entire Mother City. 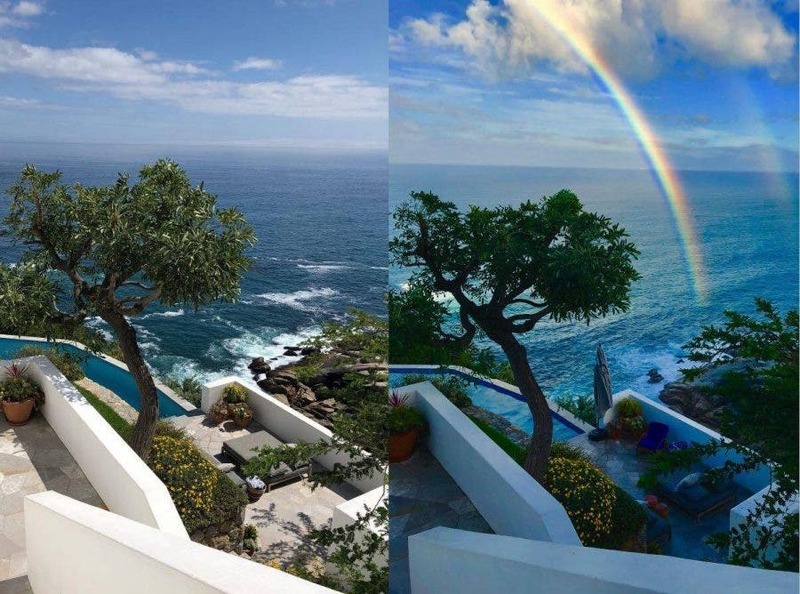 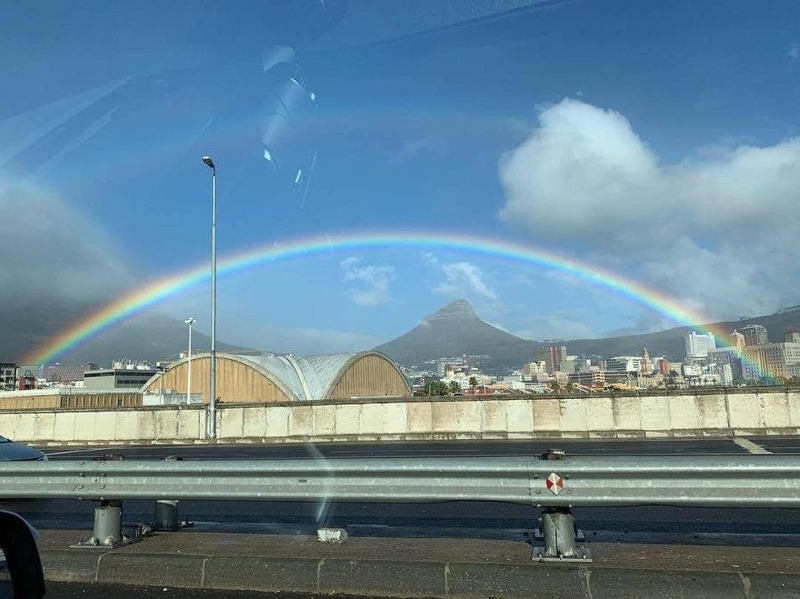 Several Capetonians stopped on the side of the road to snap photographs of the exquisite double rainbow as it lit up their day, creating a colourful buzz on social media for the rainbow nation. 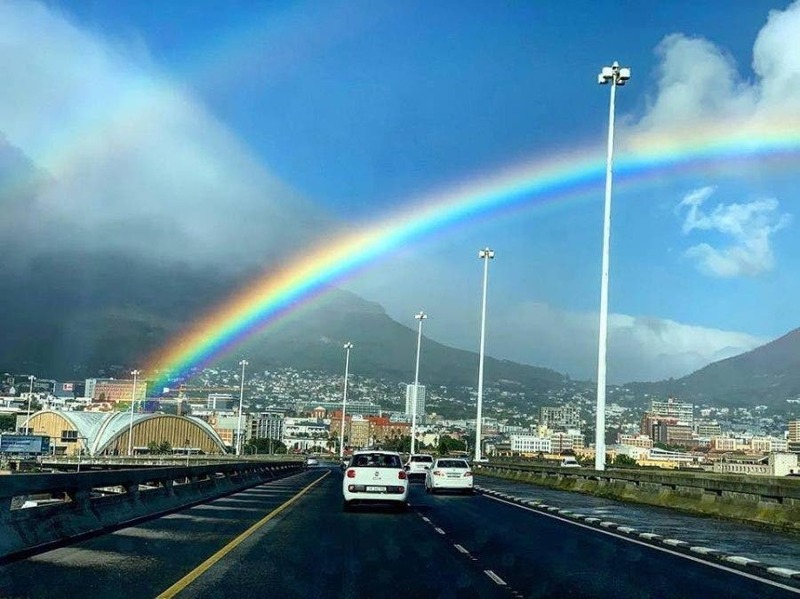 Timothy Maurice was one of many who said: “Went for a run and had to stop and capture this rainbow that seems to have covered the whole city of #CapeTown“. 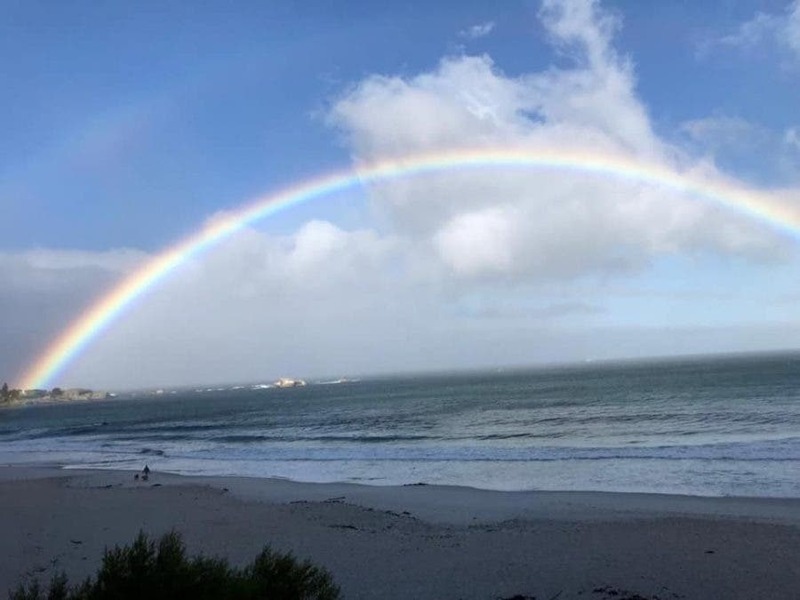 What a beautiful natures greeting to another week this morning. 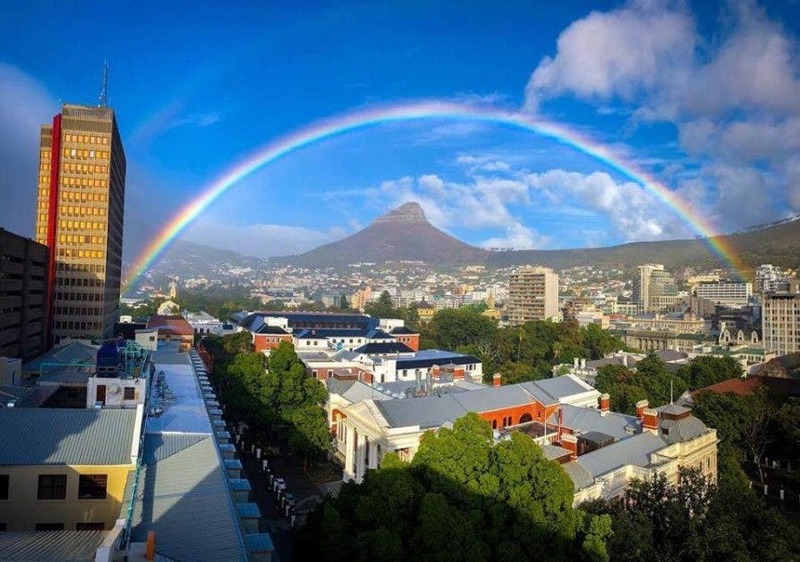 Good morning Cape Town. 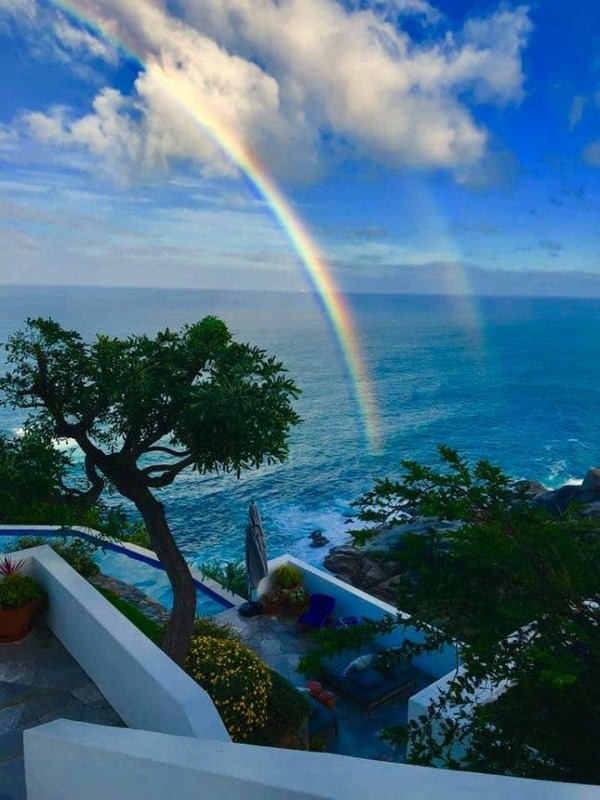 This isn’t South African, but the late Hawaiian musician Israel “IZ” Kamakawiwoʻole’s song ‘Somewhere over the Rainbow’ is perfect to accompany rainbow photos!